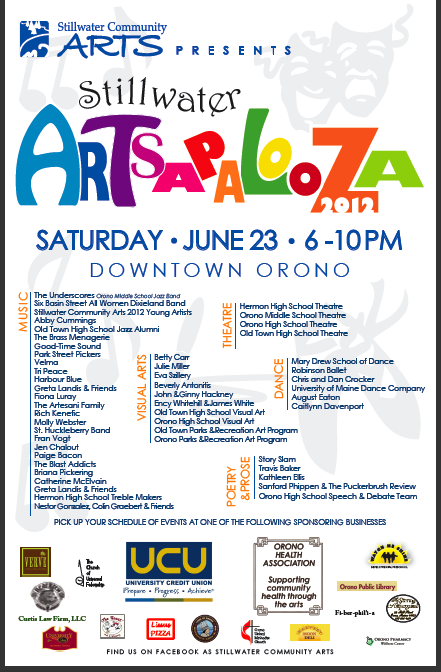 Stillwater Artsapalooza, a performing and visual arts festival, will happen on Saturday, June 23, 2012 from 6:00-10:00 p.m. in downtown Orono. Two weeks prior to the event you may pick up an updated Stillwater Artsapalooza schedule and map at any of the participating venues. Thank you to the Orono Health Association and University Credit Union for sponsoring this fantastic event. Don’t miss this fantastic event! Admission to all venues and performances is FREE! One of the new bands we have this year at Stillwater Artsapalooza is an awesome blues rock fusion band named Paradigm Blues. Paradigm Blues plays a mix of new and classic blues. They cover songs by Jimi Hendrix, The Black Keys, John Mayer Trio, and more. The members are all current University of Maine studens. Chris Young is a Psychology major, he plays Bass and sings Lead Vocals. Kevin Hanselman is a Computer Engineering major, he plays Guitar and sings Backup Vocals and Scott Alexander rounds out the band on drums and is an Electrical Engineering major. They are set to play at the Bear Brew Pub at 8:00 p.m. on Saturday at Stillwater Artsapalooza. Don’t miss a chance to welcome them to the Artsapalooza line-up! Swing Dancing and Show Choirs at Stillwater Artsapalooza! Dan and Chris Crocker are local educators (Dan is the Dean of Enrollment Management at Eastern Maine Community College, Chris teaches Spanish at Orono High School) who have been part of the greater Bangor area dancing scene for over 12 years. Performance swing and lindyhop dancers, this athletic, energetic and dynamic duo share their love of dance by volunteering their time to such worthy events as the Dancing Like the Stars Project Graduation performances, dance exhibitions, dance choreography for Orono High School musicals, Stillwater Artzapalooza and other fundraisers. If you haven’t seen them dance, don’t miss this opportunity to watch them go head over heels. And make sure you bring comfortable shoes, ‘cause you’ll get to learn a few moves and then share the dance floor with two of the area’s best! Dan and Chris will be moving and shaking at Stillwater Artsapalooza on Saturday, June 23 at the Keith Anderson Community House from 8:00-8:40, don’t miss the fun! The Hermon High School Treble Makers are hot off their first year as the new Hermon High School choir! They scored a 1 rating at the District 5 competition and competed at the Maine State Show Choir Competition in late March. 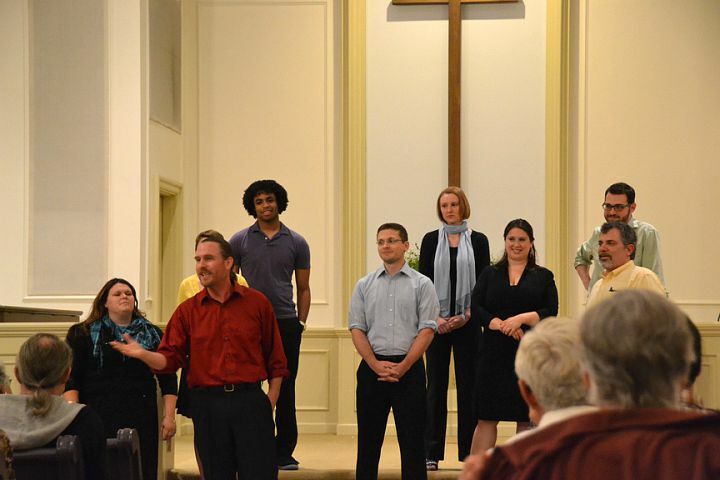 They are a vibrant, exciting group and perform songs ranging from Billy Joel to Lady Gaga to contemporary musical theatre. The Hermon High School Treble Makers will be performing at the Old St. Mary’s Church from 8:00-8:40. Come enjoy an entertaining evening of fun, upbeat songs performed by some phenomenal high school artists! We are lucky to have had Sandra Hutchison agree to join us at Stillwater Artsapalooza! Sandra Lynn Hutchison is the author of a book of poetry, The Art of Nesting (GR Books, Oxford: England, 2008) and a memoir about living in China during the Tiananmen Uprising, Chinese Brushstrokes(Turnstone Press, Winnipeg, 1996). She has been the recipient of a number of literary awards, including a Jane Kenyon Poetry Scholarship from Bennington College and an Emily Dickinson Poetry Award. Her memoir about China was selected as an editor’s choice Best Book in Canada and has been included in the high school curriculum there for the past decade. Hutchison’s poetry, stories, essays, and reviews have appeared in a wide variety of publications, including the Oxford anthology of stories about China, Chinese Ink, Western Pen (Oxford University Press, 2000). 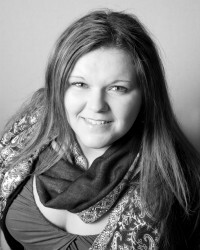 She writes a column for the online magazine In Culture Parent and serves as poetry editor for Puckerbrush Review. 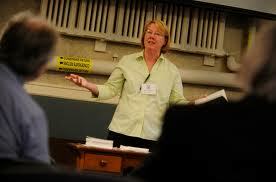 She teaches English and Maine Studies at the University of Maine. Sandra will be reading her stories at the Orono Public Library beginning at 8:45 p.m. Don’t miss this chance to hear an award winning writer talk about her cultural experiences. Celtic Rock, Middle School Jazz, and Theater! We are incredibly pleased to have the St. Huckleberry band playing at Stillwater Artsapalooza at the Roost from 8:00-8:40 p.m. this Saturday, June 23! St. Huckleberry is an eclectic mix of Celtic-tinged Hard Folk originals and hopping Acadian Fiddle. The lineup is comprised of Laura Gallucci on Electric Viola and Fiddle, Ray Romanoski with a mix of hand percussion, and Mike Gallucci as main songwriter on Guitars and Vox (and on some occasions joined by Don NYVice Johnson on Sax and Flute). A reviewer once said, “St. Huck is a rather savory blend of roots rock with a touch of blues and a twist of Celtic. The songwriting is tight, and the musicianship crisp. What really makes the sound distinctive, however, is the contrast between the vocals and the viola (some of the tastiest viola to be heard around these parts for a long time).” We can’t think of a more exciting group to have join our Artsapalooza line-up! Don’t miss the chance to hear this group in action! What started as a sugar-fueled conversation between students at a school dance has become the jazz combo known as The Underscores. 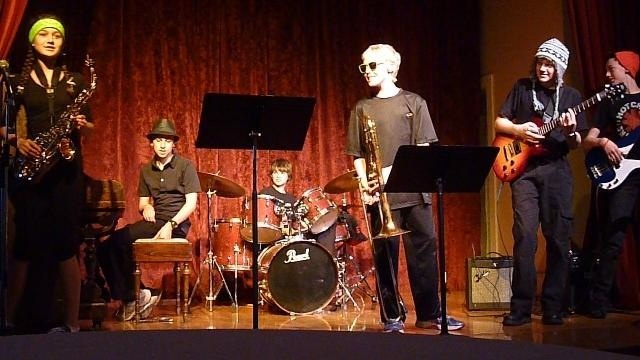 Under the guidance of Steve Hodgdon, The Underscores have developed into the most exciting young jazz group in Orono. They are set to play at the University Inn, poolside, from 6:00-6:40 p.m. The Underscores are comprised of Orono Middle School students: Ben “Piano Man” Blood, Garry Morneault, Jacob “Jay Bass” Fandel, Alex “The Multi-tasker” Fergusson, Allison “Jazz Girl” Pickering, Lowell “LT” Ruck, and Will O’Neil. They are sure to impress you with their talent, wit and energy, so don’t miss the chance to hear them! Finally, there will be quite a lot of theater this year at Artsapalooza, yay! At the Catholic Church on Main Street Hermon High School’s Theatre Arts class will perform the David Ives play Small World at 6:00 p.m., directly following this Orono High School will perform As You Like It in the same venue at 7p.m. Across the street at the Church of Universal Fellowship at 7p.m. 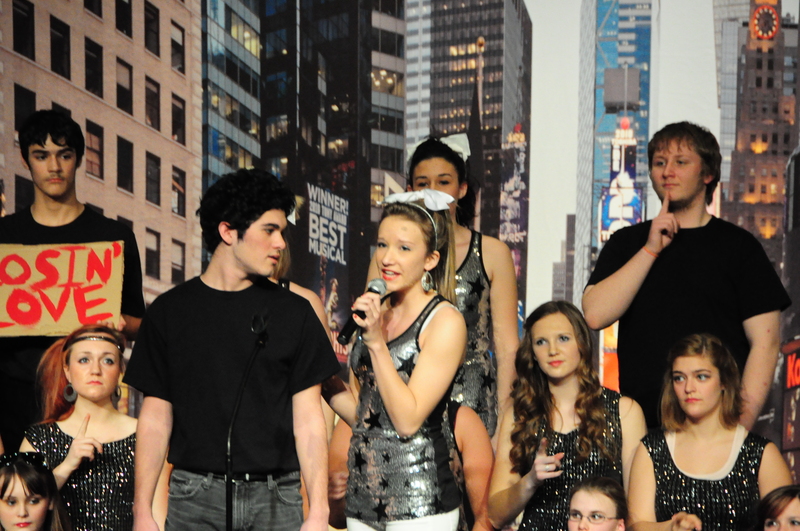 Orono Middle School students will perform their spring play, and finally at the United Methodist Church at 7 p.m. students from Old Town High School will perform excerpts from the musical Grease. Be sure to see any one of these wonderful performances! Dixieland Music, Ballet and Musical Theatre! Stillwater Artsapalooza is an amazing chance to see a wide variety of artists– where else could you hear a folk duo at The Store, then a Dixieland Band at the University Inn, a Show Choir at the Catholic Church and finish off your evening with a knock your socks off rock concert at the Fire Station? It’s going to be an amazing evening and we’re so excited to welcome the Six Basin Street All Women Dixieland Band, Robinson Ballet, and Nestor Gonzalez and Friends back for more Stillwater Artsapalooza fun! The Six Basin Street All Women Dixieland Band will be making their debut performance at Stillwater Artsapalooza this year! Six Basin Street is an all-female Dixieland band made up of members in the Greater Bangor, Maine, area. They have been playing gigs since 1992 everywhere from town parks to a reception for former Vice President Al Gore. They play traditional Dixieland, including standards such as their namesake, “Basin Street,” “Royal Garden Blues,” “Lazy River,” and “St. James Infirmary.” The band consists of trumpet(s), saxophone(s), banjo(s),tuba, clarinet, piano, drums and occasional vocals. They are quite a delight and always prove to be lots of fun to listen and move to! 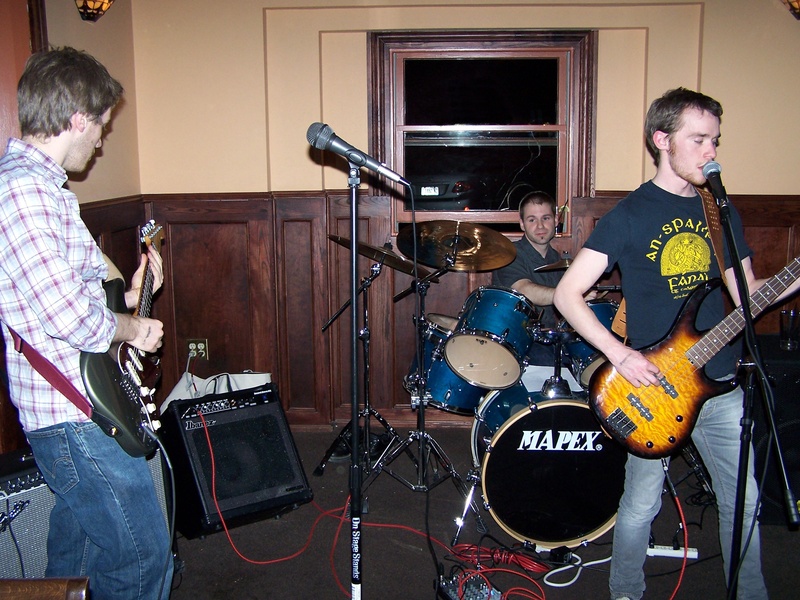 Six Basin Street will be playing at the University Inn from 7:00-7:40 p.m., be sure to check them out! Robinson Ballet was founded in 1977 and is a highly respected dance company that enhances our community by reaching out to educate, inspire, and involve people of all ages by providing opportunities to create and experience quality dance. 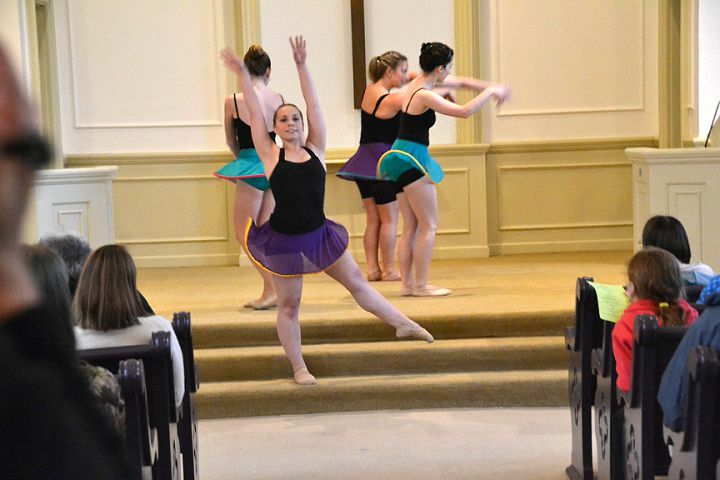 Robinson Ballet is based in Bangor, Maine and will be giving a performance for Stillwater Artsapalooza at the Keith Anderson Community Center from 7:00-7:40 p.m. on Saturday, June 23, 2012. Finally, Nestor Gonzalez is a well-known voice in our community. His beautiful tenor tone is one of the best we’ve ever heard, and any concert with Nestor at the fore-front is bound to be an entertaining one. Nestor will be singing, with a few of his friends, some contemporary musical theatre songs from Tick, Tick Boom, Songs for a New World, Company, and a few pop standards. Nestor is accompanied by the equally talented Colin Graebert–you can read more about Colin here. Nestor and Friends will be performing at the Church of Universal Fellowship from 9p.m.-9:40 p.m.! This year you can ride your bike to Stillwater Artsapalooza, park it at Rose’s Bike Shop (9 Pine St.), and visit all of the venues without having to worry about where to safely park your bike. When you are done, simply return to Rose’s Bike Shop, pick up your bike, which has been safely guarded, and ride home! Rose’s Bike Valet Service will be available starting at 5:30 p.m. on Saturday, June 23, and will be open until 10 p.m. Thank you to Rose’s Bike Shop for adding this great service to Stillwater Artsapalooza 2012!! 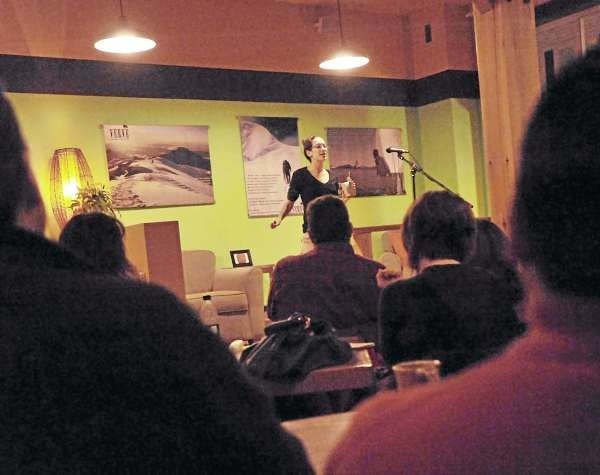 Story Slam Bangor and Molly Webster–What’s not to love about Artsapalooza? Stillwater Community Arts is beyond excited to have Story Slam Bangor and Molly Webster back for a second round of fun this year at Stillwater Artsapalooza! Story Slam Bangor happens one night a month in the Orono/Bangor area and was started by Anya Rose, Jesse Moriarity and Zack Pike who were brought together by a shared love of NPR’s The Moth. The concept is simple: 50 or 60 people get together each month at a local venue and tell stories based on a theme. Not everyone tells a story, some folks just come and listen. Those who opt to tell a story throw their name in a hat and 10 names are chosen at random to tell their story. There is a 5 or 6 minute time limit and at the end the audience gets to vote for their favorite story of the evening. The winner receives a fabulous prize. Story Tellers have come from all walks of life to share their stories. The stories are sometimes funny, sometimes sad, and always very poignant. This event brings about a better understanding of ourselves as people, and builds an amazing sense of community, so what’s not to love about that? To learn more about Story Slam Bangor please visit: www.bangorstoryslam.org Story Slam Bangor is a fantastic community building program and will be at Verve from 9:00p.m. to 10:0p.m at Stillwater Artsapalooza on Saturday, June 23! Sanford Phippen is an equisite Maine storyteller, so we were most delighted when he and the Puckerbrush Review clan agreed to be a part of Stillwater Artsapalooza 2012! 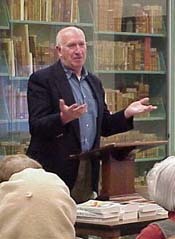 Sanford “Sandy” Phippen grew up in Hancock, graduated from Sumner Memorial High School in East Sullivan, received his BA in English from the University of Maine and earned an MA in English Education from Syracuse University. He is the author of The Police Know Everything, People trying to be Good, Cheap Gossip, Kitchen Boy, and The Messiah in the Memorial Gym, plus two histories of Hancock and a play, Standing, Just Outside the Door. He has edited The Best Maine Stories and High Clouds Soaring, Storms Driving Low : The Letters of Ruth Moore. His works have appeared in numerous anthologies and publications including, The New York Times, DownEast Magazine and Maine Times. Sandy spent numerous years as a high schol English teacher at Orono High School, and is now retired, though he continues to teach writing at the University of Maine. Sandy will be reading with some of his friends and founding members of the famed Puckerbrush Review at the Orono Public Library from 7:00-7:40 and again from 8:00-8:40. The Puckerbrush Review literary magazine is published twice-a-year by the English Department of the University of Maine and is a print-only journal. The Puckerbrush Review was founded and edited by Constance Hunting and is now edited by Sanford Phippen. 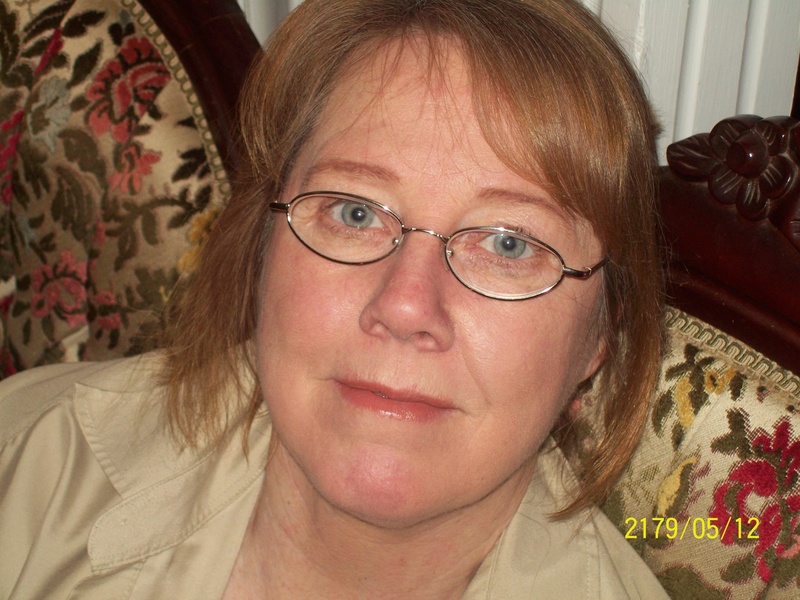 The Puckerbrush Review publishes quality poetry, short stories, literary essays and reviews. Don’t miss this chance to laugh, cry, smile and bask in what it means to be a Maine-ah! 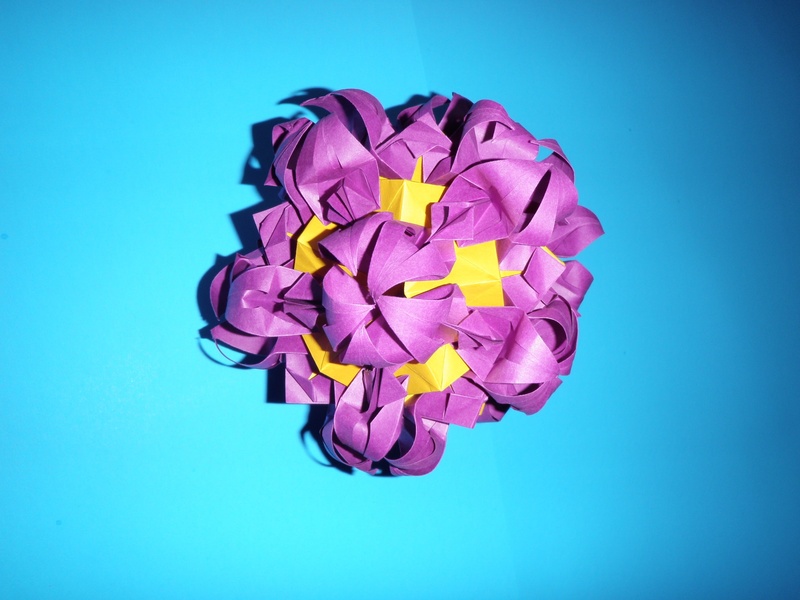 Eva is now the Maine State Director of the American Mathematics Competitions, the founder of the Maine Junior Engineering Technical Society(MJETS), the Maine Mathematics Science and Engineering Talent Search(MMSETS) and the Maine Origami Society. She is the 2005 recipient of the University of Maine Educator Recognition Award for programming Excellence of the MMSETS and MJETS Programs. 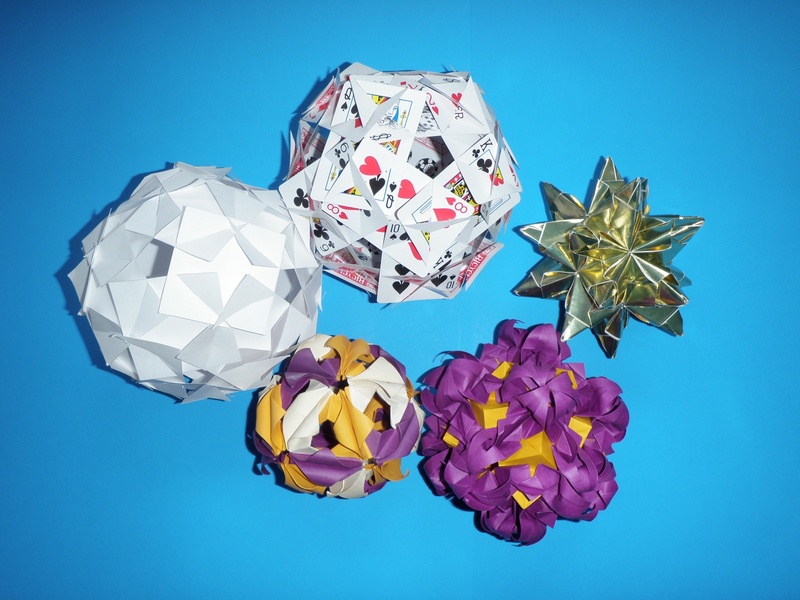 Szillery’s modular origami work has been exhibited in Lewiston, Portland, Bangor, Orono, Bath, Boothbay Harbor, Brunswick, and Presque Isle.